School is barely over a week away and I'm pretty excited, I've gotta say. The past few weeks of summer have seriously been dragging. I've been in NYC more or less all summer, but it feels like I'm "moving back." New York is New York , but uptown (where I've lived the past month or two) feels so much less like home than downtown. I feel at home in the Village. Lately, a revived gothic style has entered into my fancy, and though I've posted about blacks before, I honestly can't get enough. I find myself getting frustrated lately that I can't find a black blouse to fit a black maxi skirt, that I don't have enough boxy, dark accessories, that I'm in dire need of black skinny pants, and that my creepers are in serious need of repair. the dark shadow and lips against pale skin just make the quasi-macabre accessories (like the crow neckpiece and the fishnet gloves) glow. the dark and patterned bodycon dress here creates a lengthening effect. The model's long, dark hair adds a mystery to the look, while the tapered nature of the dress creates an air of class. 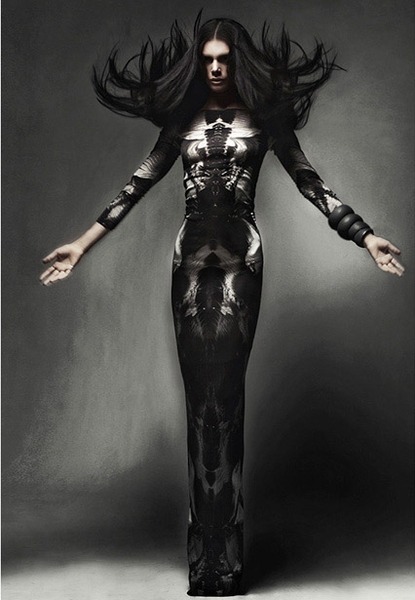 The length of this dress makes the model look like a waiflike vampy queen. the black fur on the dress and on her long gloves compete with her wildly teased hair for a seductive and yet precious look. this style is more low key. 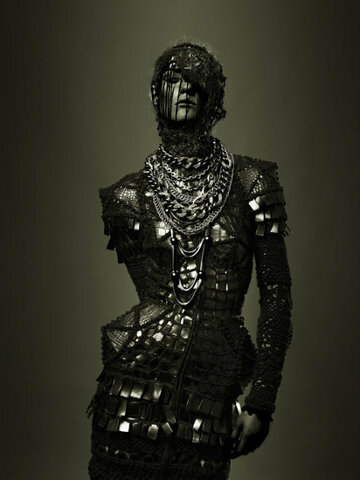 The matted hair and calm leather add a strange curiosity to the ensemble. here, the simple, even ragged dress calls for minimalistic jewelry. The entire look seems to reek of being 'lost' in that beautiful way. I love this suit of armor/metal. It's a true tribute to gothism. The sharpness, the metallic nature of this piece-- it's both beautiful, strong. It seems as though the veil hold so much power. the lines in this look make up its style. It's angular, sharp, crisp, clean. It's monotone in the most agreeable way. this lingerie is to die for. That's honestly all I have to say. 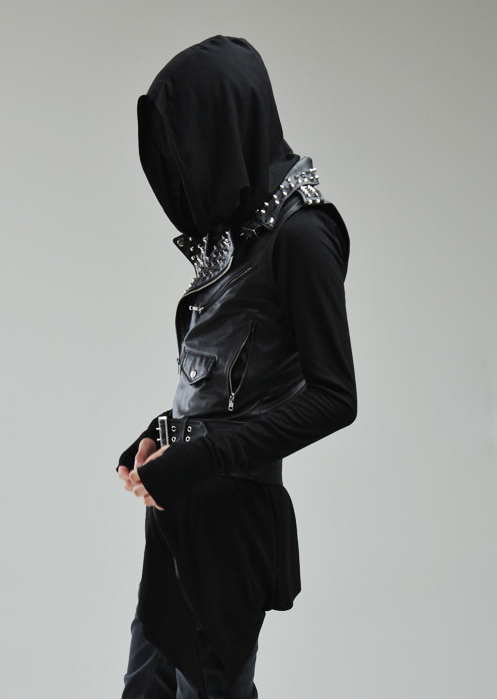 the hood in this look seriously adds so much. It completes the outfit. 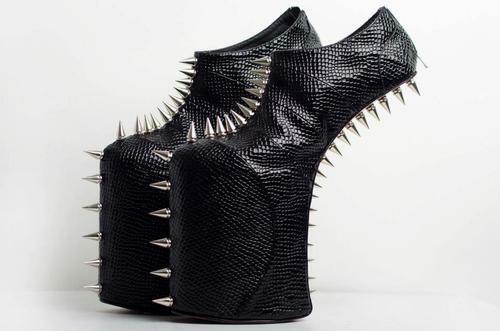 incredible, McQueen and/or Jeffrey-Campbell-esque shoes. Ok. it's late. Please enjoy this. I hope you do. I'm trying to get more viewers and followers here. I really want this blog to take off. I'm starting to realize that working in the fashion media industry seems like a great idea for me. Anyway. That's all for now.